The Member of Parliament representing Kilak North Constituency Hon. Gilbert Olanya has been pinned for trying to sabotage Pearl Salt company in favour of a rivals. Last week, Olanya for the second time, petitioned parliament seeking responsible government agencies to intervene in the investigation of a salt product that has allegedly put ‘his’ constituents’ lives at stake. While speaking on the floor of parliament, Olanya noted that it had been brought to his attention by his constituents that a salt product on the local market known as Pearl Salt which he claims is tasteless, doesn’t dissolve, but also one has to pour more quantities of it in the food in order to get the preferred taste, compared to other traditional brands. The FDC MP, who tabled empty packets of the said brand before the no-nonsense speaker Jacob Olanya, who asked him to bring salt as evidence, instead of packaging material. Olanya went ahead to tell parliament that many of his area residents are in complete disarray and living in fear at the time he was addressing parliament. He infact insinuated as if his constituents were watching him live but from a hideout! “Mr. Speaker, the complaint of the community is that this salt has particles that do not dissolve in water. Two, the salt is tasteless. You may add large quantities but it does not taste like the salt we eat every time,” Olanya submitted. However, the deputy Speaker Jacob Oulanya objected his submission saying that the legislator needed to table evidential value owing to the fact that the problem at hand is the salt not the packet. Alternatively, he advised him to avail samples of the additive to responsible bodies such as UNBS for quality testing. The whole battle comes from Habari Salt and Bahari salt! No other, just like if your mind still serves you right about the battle between Kansai Plascon and Dutch global paints and coatings company, AkzoNobel or simply say Sadolin and Plascon titanic battle. For another day….. Initially, Habari salt belonged to Dr.Hasmukh Dawda’s Umbrella groups House of Dawda (Uganda) and House of Manji (Kenya). His salt company, Mombasa salt works was based in Mombasa Kenya which he started in 1975. However, in 2007, he sold his Habari salt brand to Crystalline Salt Company belonging to another business man in Mombasa Kenya and later on emerged with two new Brands; BAHARI and PEARL salt! Now, remember, because Dawda had been in the market for decades, it was easy for him to market his new brands and even surpass the pioneer Habari brand which he had marketed himself. He had all the market intelligence on fingertips. So because Habari and Bahari have close similarities in name and branding, this caused anxiety, because even customers who are not very vigilant can easily buy the other brand when he/she meant to buy the other. Another advantage Dawda had, especially in northern Uganda is that he was born and raised up in Lira, he knows most of the market dynamics there. Locals would see him during 1986 Kony insurgency distributing aide. He is literally at home. So both brands started competing for market country wide, which is a healthy practice in business anyway, as long as the competition is kept within the right context. However, after several years, Habari reportedly started losing market steadily and more significantly to Bahari. Our investigations on ground have shown that before this negative campaign begun by April 2016, Bahari salt brand alone was selling 400 tons (around 14 full truck trailers) of salt per month compared to 100 tons of Habari. So ofcourse, the reaction was expected. Secondly, few years ago, URA reportedly got evidence that Crystalline Company, Mombasa, the manufacture of Habari salt was evading taxes by claiming that their salt was being manufactured in Kenya yet URA had got evidence that actually the salt was being imported from India with ‘made in Mombasa Kenya’. Habari was heavily penalized in billions of money by URA after they impounded their tracks on transit into Uganda. “They paid through the nose”, our source added. To this, they attributed it to Bahari management as having licked information to URA. Whether it was true or not that Bahari had a hand, we couldn’t verily confirm. 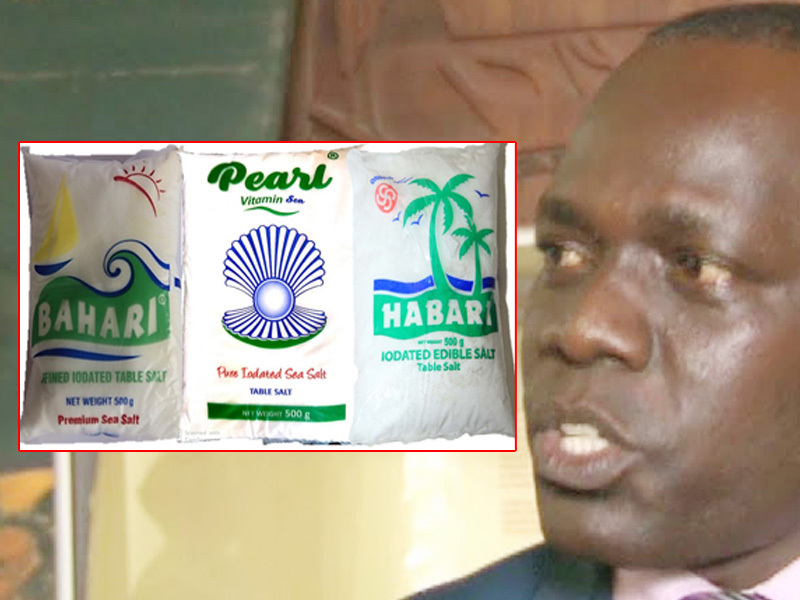 There are several tax waivers companies from EAC member countries are enjoy compared to imported goods from other countries, according to sources, Habari salt, though the company is in Mombasa, it had reportedly become cheaper for them to import from India than manufacturing in Mombasa. With all the above factors at play, some gullible politicians reportedly in a plot to ‘manufacture money’, sat and advised the already worried business man that they could help them recapture their ‘market’, and that they would start with rallying Northern masses to shun the products by crafting a message that would scatter them away from it. According to our sources, their strategy was that after the MP raising the matter on floor of parliament (which campaign started in 2016), where he is protected from legal prosecution, they would now start backing up the campaign with sponsored radio talk shows guising as ‘Health talk shows’ where they would talk about health matters and then adopt social media platforms where they’ve already set out some of the media personalities in Northern region to spread the campaign. Indeed the social media campaign begun on Tuesday this week on some Northern radio presenters’ platforms. It’s important to note that in 2016 Hon. Gilbert Olanya’s first concern the moment he entered parliament was the condition of Bahari salt where he claimed his people had complained to him. UNBS later took the matter, tested it but found no health problems were associated with it, and since then the salt is still on market. 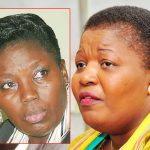 Now again, as the road to 2021 elections draw near and as the hunt for money for campaigns intensifies, the problem has reportedly shifted to Pearl salt. But please note that all the two brands belong to one Okapi Trading Co. Ltd, who are under House of Manji (Kenya) and House of Dawda (Uganda). Also interesting and worthy noting is that, although these two brands have been distributed country wide in Uganda and Kenya for years, it’s only Olanya’s ‘people’ in Northern Uganda that are apparently affected every after five years to election period! In our next issue, we’re going to uncover the list of FM radio stations and presenters who have been contracted to run this malicious campaign to destroy one of Uganda and Kenya’s biggest revenue contributors.